Thus there are discrete mass, molecular, atomic and etheric neutral centers as well as Prime Neutral Centers, "center of centers", "focalized centers", "sympathetic concordant focalized neutral center", "focalized negative attractive centers", "centers of sympathetic coincidence", "centers of neutrality" and "centers of focalization". This is why meditative state of mind is important (sympathetic) to "knowing" these interlaced concepts. Because they are All One. To be it is to know it. "A center of introductory action is necessary in all operations of Nature. All structures require a foundation. This neutral center is the foundation. "Every molecule, every mass, every moving body in space, every solar system, every stellar system, EVERY ROTATORY SYSTEM, is built about a NEUTRAL CENTER. It is the indestructible unit around which all that we recognize as matter is built. Immovable itself, it moves all things. Indestructible itself throughout infinity of time, it creates all things. It produced and preserves the incalculable energy of motion of the entire Universe. It bears the unthinkable burden of the mass of the Universe. It is the most wonderful thing Man has discovered in the Universe since he discovered fire. "If we should take a planet of say 20,000 miles diameter and should displace a portion of the interior so as to have a crust of say 5,000 miles thickness, and at the center of the planet, place a billiard ball, that small mass, immeasurably smaller than the bulk of the earth, would bear the entire burden of the mass of the crust 5,000 miles thick and would keep it equidistant from itself. No power, however great, could possibly displace this central mass so as to bring it into contact with the crust. Furthermore, to move this central mass in any direction, would require a force sufficient to move the entire mass of the planet, and in propagating or continuing any such motion the neutral center, this billiard ball, will at all time periods remain still in the exact center, bearing the same equidistant relation to its hollow shell. The mind staggers in contemplating the burden borne by this neutral center, where weight ceases." No less wonderful are other properties of the neutral center. "It is the cause of the physical Universe. Its attraction condensed that which we recognize as substance. 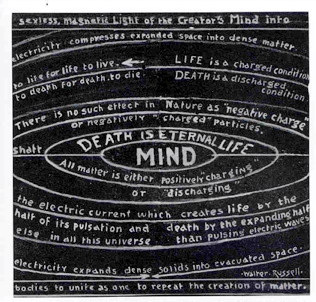 Matter was evolved from the affinity of this neutral center for Sympathetic Streams and since it is immovable, it caused, through negative attraction the formation of nodes in these streams, where the vibrations thereafter continued to meet in a center of Sympathetic Coincidence causing the permanence of form and matter. Neutral Center is Where Syntropy and Entropy meet and Interchange. "Every nebula, an embryonic world, is acted upon, created and preserved by this neutral center, and at the termination of its cycle, it is ultimately also destroyed by it, causing its absorption into the Unknown from whence it came. "The actual neutral center of the earth is, in fact, even infinitely smaller than the billiard ball referred to above. 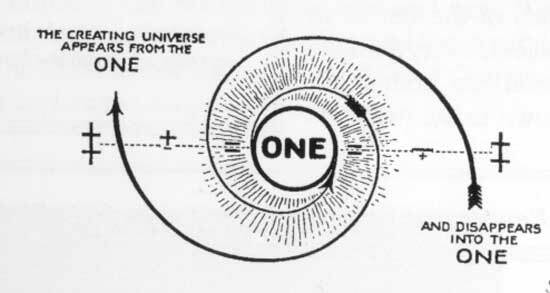 It consists of a compound interetheric point in space, so small that were we to magnify a pin head to the size of the sun, and from that substance take a particle of matter the same size, again magnifying it to the size of the sun, the neutral center would still be invisible, even though the structure of this last substance was examined through the highest powered microscope ever created, or to be created. For the neutral center is INDIVISIBLE. Its attributes do not belong to matter, and pertain in no way to matter, which is but its exterior manifestation. Neutral centers are the focalized seat of sympathetic concordance. "The proof of this assumption is that all matter responded to Keely's disintegratory process and must therefore consist of these fundamental modes of vibration. "The fixed neutral center of the earth is the concentration or totalized power of all the several molecular neutral centers in the earth's mass. This neutral center, which is absolutely WITHOUT WEIGHT, an interetheric point in space, communicates direct by means of its outflow of sympathy, with every planetary mass in the Universe. Through its inflow of sympathy, through the solar intermediate, the sun, it receives the life flow from the Supreme Neutral Center that enables it to perpetuate its existence. Thus through the outflow from this Supreme Neutral Center that pivoting point of the Universe controls the existence and motion of not only every stellar, solar and planetary mass in space, but also the rotatory vibration, in every individual molecule, intermolecule, etc. through all the subdivisions of matter, thereby sustaining their existence and motion with the life flow. Neutral Center is Mind or Consciousness of God. "Keely did not seek to invent, nor did he claim to have invented, perpetual motion. His actual achievement was the forming within a sphere of a neutral center made independent of gravity and all outside influences. 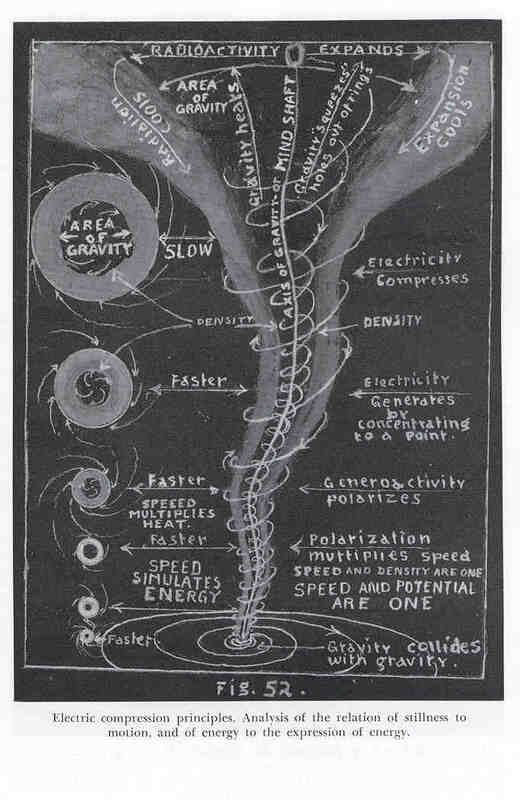 He writes (12/17/1885): "The neutral center is only established when rotation exceeds 100 revolutions per minute, which is sufficient, with the vibratory circuit running at 100,000 per second, to neutralize the influence of gravity on the volume of the neutral third of the sphere." 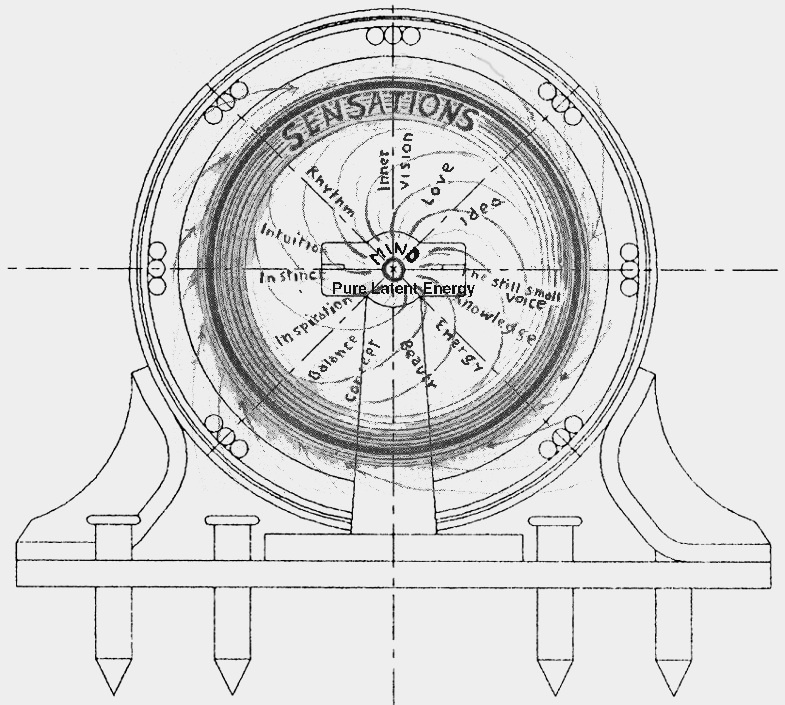 The neutral center controls its sphere of operation, whether that mass controlled by it be homogenous or complex. All differential mass antagonism is equated on the induction of certain orders of vibration. The structural conditions can be entirely adverse, even of unlike states - gases with liquids, liquids with solids, solids with gases, its control will be as complete in one case as in the other. "Besides the attractive quality in the neutral center which manifests itself in the law of individualization, of the attraction to itself of all other masses in space, is another and kindred phenomena, the opposite of the first, called by Keely "disturbance of equilibrium." See also graphics of Law of One and Center each showing the Neutral Center. (GAIA from Dawn Stranges) ''â€œDear seekers, these three forces (electricity, gravity and Mind) are quite connected, as are many things, inextricably. Let us frame the answer around the workings of your Musical Sphere. Neutral Center is where Dynamical Polar Force Interchange. 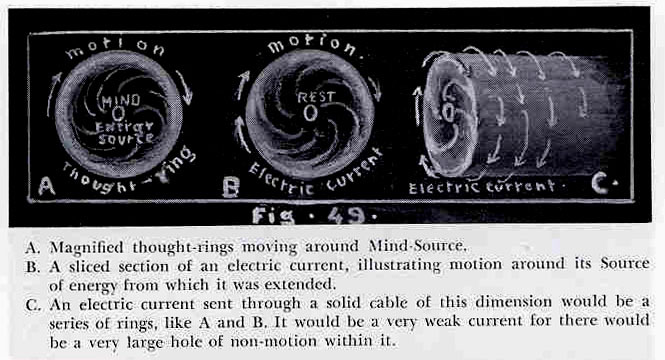 "God begins each electric thought wave at a point of His White Light at the intersection of the three inner planes of the cube, which are at right angles to each other. This point of beginning is the wave fulcrum. It is also the point of idea-conception in Mind. It is the centering eye of the inert gas of the elements which spring from that plane. 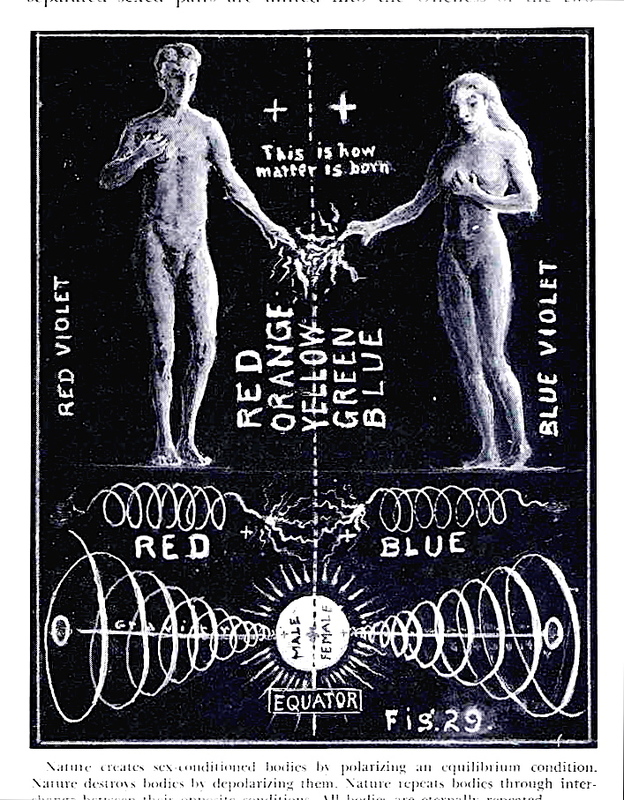 It is, likewise, the cathode center of man's electric current and the beginning of the wave shaft which extends two ways to divide the red half of the spectrum from the blue, to create separated father and mother bodies. Here also is where time and all other dimensions begin, as well as all other effects, such as life, compression, polarization and heat. Here also is where all depolarizing dimensions and effects end and disappear into invisibility, silence, and cold stillness of space. Neutral Center is where Father-Mother Forces Interchange.